Motorola introduced its latest flagship offerings, the Moto X Play and Moto X Style in India a couple of months ago at a starting prices of Rs 18,499 and Rs 29,999 respectively. Now these devices are available with a discount of Rs 10,000 and Rs 15,000 on Flipkart, Motorola’s online sales partner in India. The discounts are valid on exchange of your old smartphones, and the amount of discount will depend on the model you choose to exchange. The Moto X Play (review) 16GB and 32GB variants are now being offered for Rs 8,499 and Rs 9,000 respectively after a maximum discount of Rs 10,000. 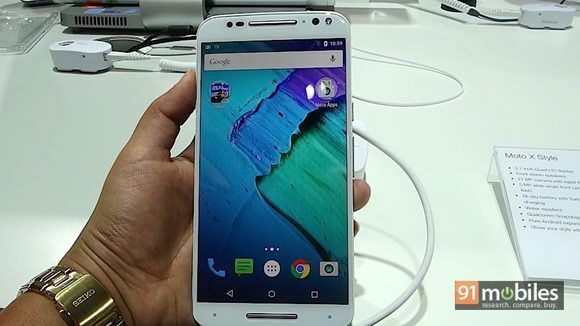 The Moto X Style (review) 16GB and 32GB models on the other hand are available for Rs 14,999 and Rs 16,999 respectively after the Rs 15,000 exchange discount.